Happy Tuesday everyone, from the world-wide headquarters of your 2016 West Coast League champions, your Corvallis Knights! A quick check of the Frontier League’s rosters indicated only one alum is playing in the independent circuit this season, third baseman Cody Lenahan. He came to the Crushers in a trade with the Lincoln Saltdogs of the American Association. 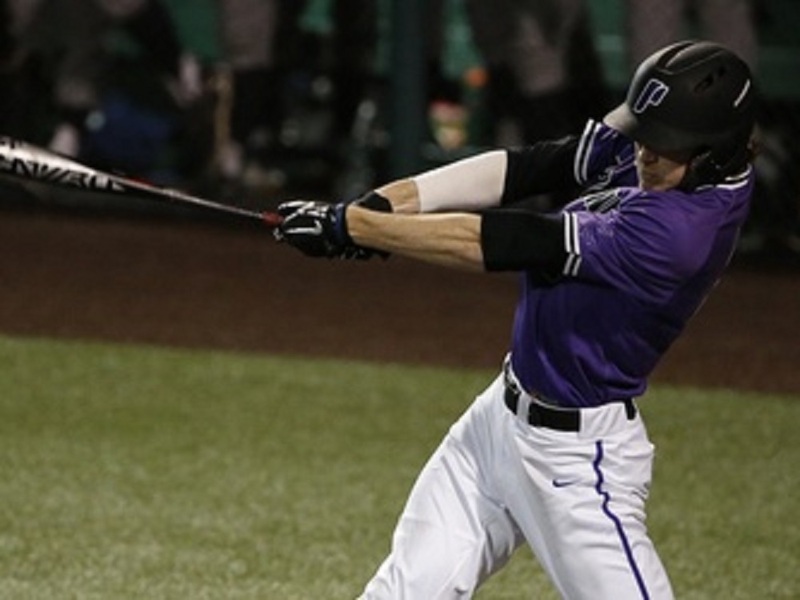 The former University of Portland standout was a key member of our 2013 WCL champions. He’s hitting .222 (4-18) through the first four games, with no homers or RBIs. 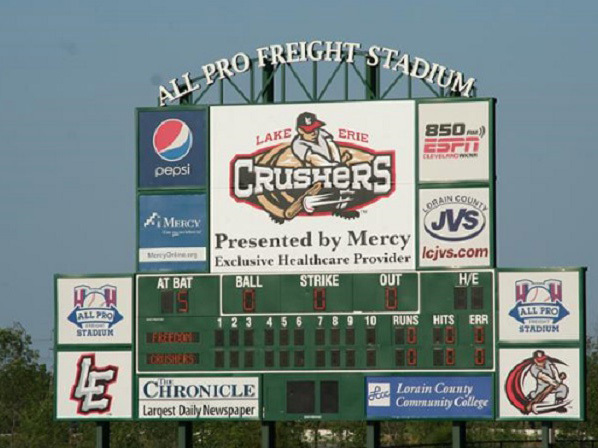 The Crushers play at Sprenger Stadium in Avon, Ohio, their home since their inception in 2009. Built and owned by the city of Avon, the stadium has a capacity of 5,000 seats, including 3,000 box seats, 11 private suites, four-person terrace tables, berm seating and picnic and patio areas for group outings. The playing surface is artificial turf. Nice story by reporter Danny Moran in The Oregonian on Oregon State freshman Adley Rutschman, the starting catcher for the No. 1-ranked Beavers. Please click here for more on Adley, the son of ex-Aloha Knights player and coach Randy Rutschman. One final reminder: If you are reading this, you know by now our new website is up and running. 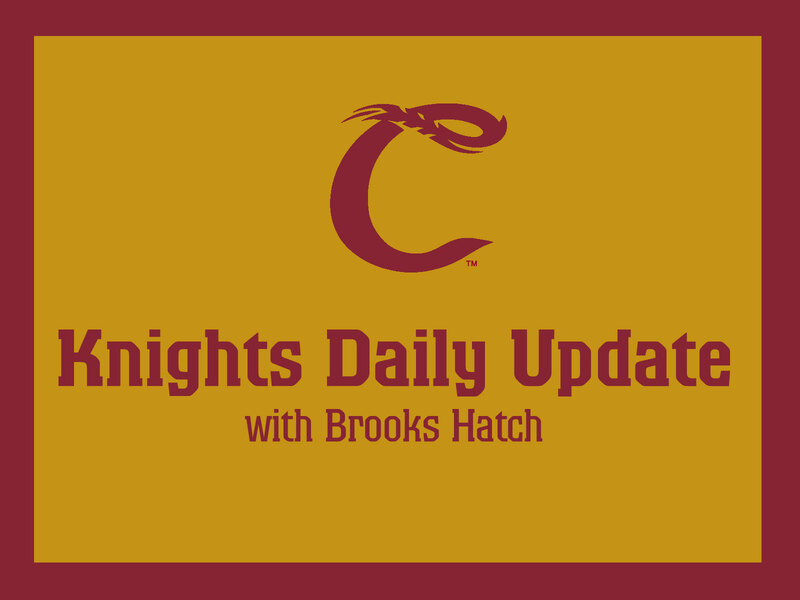 It will be the new home of your Corvallis Knights blog from now on out. We hope you stop by often, and get the latest news on your Corvallis Knights! Winston-Salem (A Carolina, White Sox) pitcher Max Beatty (2010-12) threw 1.2 innings of shutout relief, had two strikeouts and got the win in a 3-2 victory over Lynchburg on Monday night to earn Corvallis Knights Minor League Player of the Day honors. Max played at Pacific Lutheran. Charlotte (A Florida State, Rays) first baseman Dalton Kelly (2014) was 1-for-2 with a double and a walk in a 6-5 loss to Dunedin. Dalton played at UC Santa Barbara. Montgomery (AA Southern, Rays) outfielder Cade Gotta (2011) was 2-for-5 with a double and an RBI and raised his average to .324 in a 7-3 win over Tennessee. He played at San Diego Christian. Time to update the stats (through Monday) of our incoming position players. We will do the pitchers on Friday. EMILIO ALCANTAR: The outfielder from Lewis-Clark State is hitting .299 (20-67) in 34 games, with no homers and eight RBIs. He is a returnee from 2015 and 2016. ANDREW BARRERA: The infielder from Concordia, a 10-day signee, is hitting .234 (32-137) in 40 games, with two homers and nine RBIs. His season is over. HENRY CHENEY: The Portland outfielder is hitting .091 (1-11) in six games, with no homers or RBIs. JACE DUTY: The catcher from Chemeketa CC is hitting .291 (43-148) in 43 games, with two homers and 20 RBIs. COLE JOHNSON: The pitcher/infielder from Pacific Lutheran hit .333 (46-138) in 37 games, with two homers and 31 RBIs. His season is over. MATT KELLY: The Portland infielder, a returnee from 2016, is hitting .293 (55-188) in 48 games, with a homer and 13 RBIs. JACK KUZMA: The infielder from Cal Poly is hitting .167 (5-30) in 27 games, with no homers and 13 RBIs. TYLER MALONE: The Oregon State infielder is hitting .250 (6-24) in 17 games, with no homers and five RBIs. GABE MATTHEWS: The Oregon first baseman is hitting .276 (40-145) in 43 games, with two homers and 20 RBIs. BRADY REDIGER: The Linfield second baseman is hitting .363 (66-182) in 41 games, with four homers and 21 RBIs. DILLAN SHRUM: The Nevada outfielder is hitting .305 (25-82) in 33 games, with two homers and 15 RBIs. GAVIN SPEEGLE: A 10-day signee, the George Fox catcher hit .333 (8-24) in 12 games, with three RBIs. ZAK TAYLOR: The Oregon State infielder, a returnee from 2016, is hitting .224 (11-47) in 25 games, with six RBIs. TAYLOR TRAVESS: A returnee from 2015 and 2016, the Oregon outfielder is hitting .254 (18-71) in 36 games, with a homer and seven RBIs. TYLER VILLAROMAN: The San Francisco outfielder is hitting .178 (16-90) in 51 games, with no homers and 11 RBIs. ELLIOT WILLEY: The Oregon State outfielder is redshirting. LUKE WILKINSON: The 10-day signee from Northwest Missouri State is hitting .182 (4-22) in 14 games, with no homers and one RBI. The Wenatchee AppleSox have signed Jacob Prater, a 2015 Wenatchee High School graduate and future Seattle University Redhawk, to the 2017 roster. They have also signed Yakima Valley CC pitcher Gerald Hein to a temporary contract. Click here for full details on those transactions, from Our Sports Central. That is all for today. Have a great week, try to make it to the ballpark this weekend, when the Beavers host Washington State, and we will see you again on Friday. Copyright © 2019 Corvallis Knights Baseball. All Rights Reserved.